Giant stones! They are everywhere. 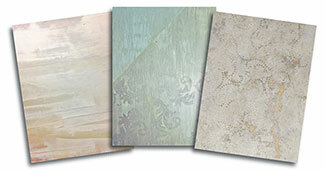 Join use for a Friday afternoon to learn how we create these hyper large finishes on walls and ceilings. Who says neutrals have to be boring? This is a great class for people looking to add lighter and less step finishes to their portfolios. Inspired by watercolor artwork transformed into wallcoverings, learn how to achieve these stunning looks directly on a vertical surface. 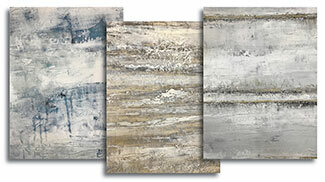 Update your portfolio with these transitional and modern designs featuring our new X-Factor™anti-gravity glaze, a unique product that will expand your finishing and canvas art.